Mr. James Watson began his USAID career in 1989 in Washington, DC, soon after graduating from the University of Virginia. From 1992-1996, he served in Budapest as USAID/Hungary’s Project Development Officer and Local Government Team Leader. He subsequently spent 3-years in Washington, DC working in the Europe and Eurasia Bureau where he served as the Romania and Turkey Desk Officer, the Deputy Chief of the Civil Society Division, and the Liaison to the State Department on Kosovo. From Washington, Mr. Watson spent 2-years in Georgia at USAID/Caucasus as Chief of the Economic Restructuring Office, 5-years as the Program Officer at USAID/Mozambique, and 2-years as the Program Officer for USAID Southern Africa.He served in the Dominican Republic from December 2008 through May 2012 as both Deputy Director (18 months) and Acting Mission Director (2-years). Mr. Watson has been USAID Director in Honduras since August 2012.The move to Atlanta, in 2017, will be the first time Mr. Watson, his wife Manana, daughter Liza, and son James have lived in the U.S. as a family. 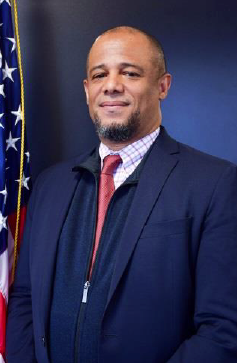 From 2017 to 2019, Mr. Watson will be serving as the USAID Development Diplomat in Residence for Alabama, Florida, Georgia (physical location), Tennessee, and Mississippi. Mr. Watson earned a Bachelor’s of Arts degree in International Relations with a concentration in Latin America from the University of Virginia and completed graduate coursework in Development from American University, George Washington University, and Georgia State University. Mr. Alfred Nakatsuma has dedicated his career to international development with the United States Agency for International Development (USAID). He is a member of the Senior Foreign Service, and served USAID missions in Bolivia, Guatemala, Indonesia, Philippines, the Regional Asia mission in Bangkok, and in Washington DC Headquarters. Prior to his current position as USAID Development Diplomat in Residence (DDIR), he was the Director of USAID/Asia’s Regional Environment Office where he oversaw US foreign assistance for environmental activities in 24 countries. 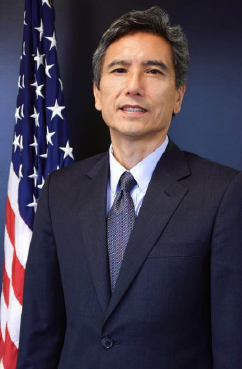 As USAID DDIR, Mr. Nakatsuma will establish and strengthen international development partnerships, carry out public diplomacy, and implement the Agency’s diversity outreach and recruitment activities. He is based at California State University-Long Beach and will cover the state of California, Nevada, and Hawaii. He graduated with a Bachelor’s of Science in Civil Engineering from Stanford University, a Masters of Arts in Economics and a Masters in Urban and Regional Planning from University of Southern California. He received a Fulbright Fellowship for fieldwork in Peru and a Mansfield Fellowship as an exchange official inside the Government of Japan. He speaks five languages, including Spanish, Indonesian, Portuguese and Japanese.